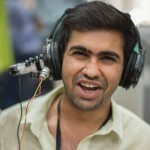 Maker’s Asylum is a community MakerSpace based in Mumbai and Delhi, that allows collaborative ideation. It brings together interdisciplinary activities covering Science, Technology, Engineering, Art and Math (STEAM) to foster a culture of innovation, exploration and learning. For hardware entrepreneurs, it’s easy access to tools, technology and talent so they can prototype their ideas. For problem solvers, it’s a space to exchange ideas with other like and unlike-minded folks who share your passion. For hobbyists, it’s a place to explore, tinker and learn. Don’t let those ideas die on the drawing board. Come make your ideas happen! An array of 3D printers, laser cutters, CNC machines, electronics lab and prototyping tools for woodworking, robotics, bicycle building and repair, rapid prototyping, open source computer-aided design. Regularly organised, affordable and publicly-accessible classes by local makers, focusing on either creating a final product the student can take home or general training for specific tools. Affordable monthly membership plans that include access to our facility and tools.